You are cordially invited to join the 2019 IFSW regional conferences. Together we can shape the future, strenghten the regions and make Social Work visible globally. 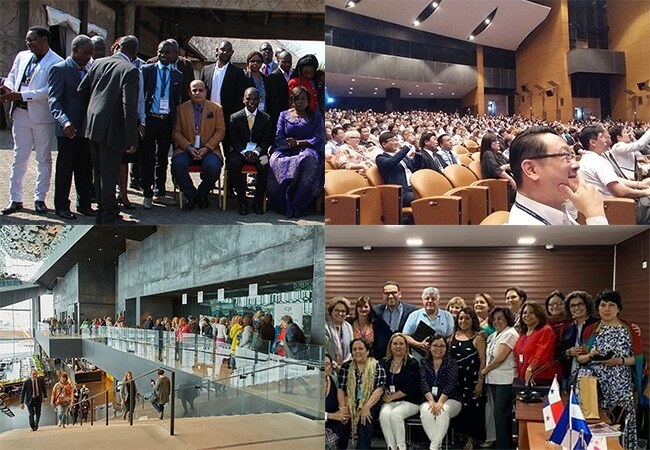 IASSW, ICSW and IFSW are delighted to announce their ongoing joint commitment to the Global Agenda for Social Work and Social development and that the three organisations will be jointly holding world conferences in 2022 and 2024 with the expectation that joint conferences will continue into the future. March has been a very important month for all social workers in the world. Celebrations for World Social Work Day were postponed in Palestine after four civilians were killed by the Israeli military the day before the event was to take place. La Presidenta de la IFSW, Dr. Silvana Martinez y el Tesorero Global Dr.
IFSW Europe are asking their member organisations to engage with the upcoming European Parliament elections May 23rd– 26th. IFSW Secretary-General, Rory Truell focused on social workers that work beyond the limitations of social services in an article published The Guardian on World Social Work Day. World Social Work Day at the UN Geneva Tobias Roosen IFSW UN Representative; Pascal Rudin IFSW Operational Manager; Priska Fleischlin IFSW UN Commissioner; Joachim C.
The International Federation of Social Workers (IFSW) and the International Association of Schools of Social Work (IASSW) have initiated a joint process of reviewing and updating the Global Standards for Social Work Education and Training.